Just finished reading this and HIGHLY recommend – This. Only This. Just finished reading this and HIGHLY recommend checking it out. It’s completely opened my eyes on helping the environment and enhanced my own observations on nature. Quick read and extremely well written. This book was printed in the United States of America on Rolland Enviro™ 100 Book, which is manufactured using FSC-certified 100% postconsumer fiber and meets permanent paper standards. 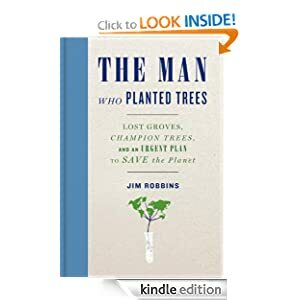 via Amazon.com: The Man Who Planted Trees: Lost Groves, Champion Trees, and an Urgent Plan to Save the Planet eBook: Jim Robbins: Books. This entry was posted in Environment, Inspirational and tagged meditation, Mindfulness, mindfulness meditation. Bookmark the permalink.